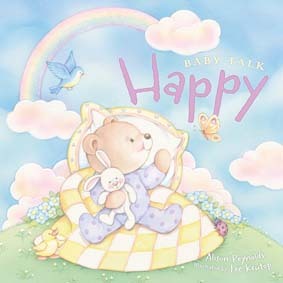 I’m thrilled about my latest series of board books called Baby Talk, illustrated by the extremely talented Lee Krutop. 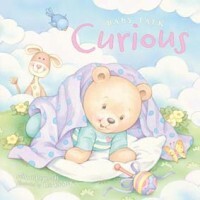 The publisher asked me to come up with a series of books for newborns and up, aimed at the parents. I know that many people say that being a parent is instinctive, but sometimes I found my instinct took a little while to kick in when confronted by a tiny, precious baby! Even though we may not realise it immediately, babies tell us what they want and need. Our job in caring for them is to watch, listen and respond. 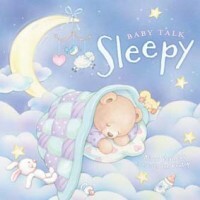 This is how we can communicate with our babies no matter how old they are. Thank you Chris. I loved having a baby, but I really didn’t know what hit me at first. Thanks, Sally. Yes, they would be great for big sibs too. They look lovely. Nice for big sibs, too. Congratulations on these gorgeous new book babies, Alison. I think most of us need any clues we can get in the early days as to what baby is trying to tell us. 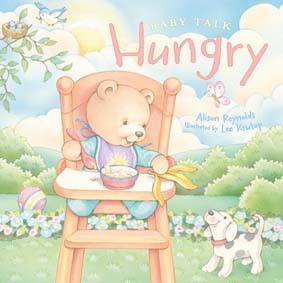 I certainly couldn’t tell which cry meant hungry, sleepy at first. Your books will delight parents and babies alike.